Can you believe May is practically here? I'm in shock to be honest... life is getting more busy and full as the weather is nicer... and since we are all getting tight on time, we've decided to change up our challenge. For now, there is only one folding prompt... so this challenge just got a lot easier! Feel free to jump in and out of the challenge if life gets busy, we understand. 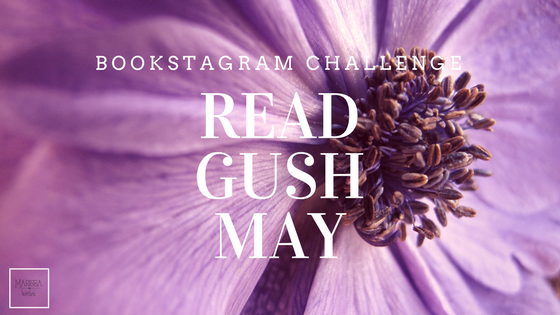 We are doing a ton of fun intereactive "gushing" this month, so this is a great opportunity to grow your IG community and make new friends! May the Fourth Be with You - Gush with us on all things Star Wars! Bookish quotes - Gush with us... what is your all time favorite bookish quote... or quote from any book you love. Game Day - Pick a fictional best friend... but read through the comments, because you cannot pick a character that has already been picked... and to be fair, only pick one! 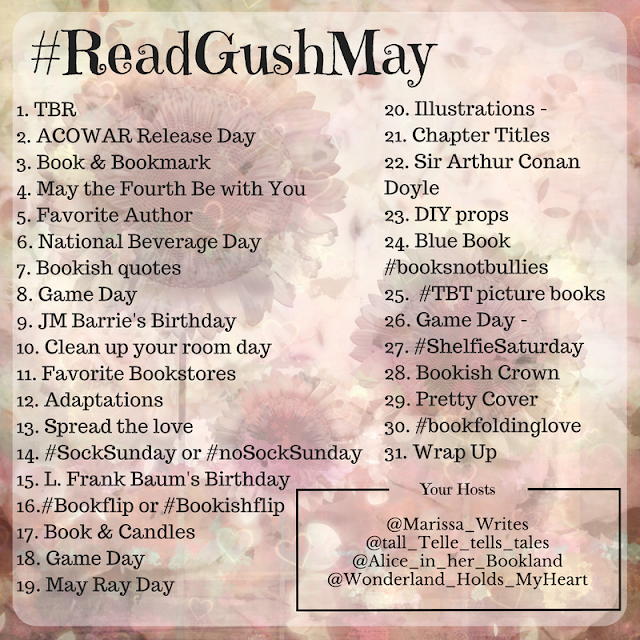 Favorite Bookstores - Gush with us over your place to go and buy books... an actual store... if you have a super cute local place, get a picture... and don't forget to tag them! L. Frank Baum's Birthday - Gush with us over your favorite magical world! Game Day - Pick who you think is the worst villain - but read through the comments, because you cannot pick a character that has already been picked... and to be fair, only pick one! Chapter Titles - Gush with us over chapter titles! Sir Arthur Conan Doyle - Gush with us over Sherlock Holmes, or your favorite crime solving stories! DIY props - Show off your favorite homemade prop... we want to gush over them! Blue Book #booksnotbullies - Gush on "smaller" bookstagrammers today! Thank you @notthepathtonarnia @thesqueakycupboard @katielmae @katyslibrary & @the.bibliofiles for starting this wonderful hashtag - let's keep it going! Game Day - Thank you @tsundokugirl for this one! #bookishsnogmarrykill Tell us who you would: kiss/snog, marry, kill... but read through the comments, and pick characters that haven't been listed... Good luck! Bookish Crown - Gush with us... who are your favorite bookish royal characters? Pretty Cover - Gush with us over some pretty covers! #bookfoldinglove - you know we had to do one paper folding... and since book folding helps save books from destruction, join us in our monthly book folding! If you want to see the instruction videos here's a link, and here's a link to some amazing patterns, that are free! Wrap Up - Gush over your favorite read this month, and tell us how many books you read, or listened to! Do you want some ideas for DIY paper folding props? Stop by our pinterest board to see some of the great paper folding we've done in the past! Do you have some ideas on things we can gush over next month? Let us know! This looks fun. I love Instagram challenges! Great topic too! Hi Marissa. This is such a cool game. I'm going to jump in here on day 9. Gushing about Peter Pan and Hook. I haven't read many books on them but I have watched several of the movies. I think Hook is my favorite movie. I love the lost boys though ha ha ha their fun loving mischievous adventure yet they have an innocence and naivety that makes them lovable. Thanks Ailie! I love Peter Pan retellings! They are great, and so much to work with! And I love how you jumped in with your comment. This is also a great way to grow your Instagram account. If decide that Instagram is a platform you want to grow on, these are daily prompts for photos and things to talk about... you will quickly find a large audience there that is friendly and ready to engage!